We are wholesale cleaning material suppliers to outlets in the North West! 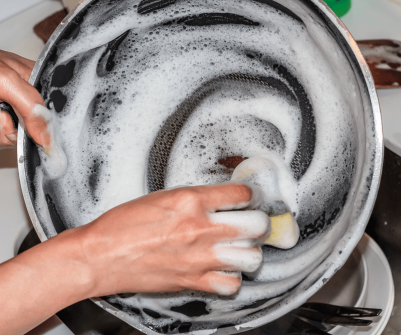 At Total Serve Ltd, we don’t just offer fantastic food and drink services, we can help you get all the cleaning done as well! We can provide everything you need to ensure your place of work is clean and tidy, once the food and drink have been served and enjoyed. Whether you need some basic cloth’s, sprays or something a little more specialist our service, has got you covered! The North West is the hub of culture, history, and entertainment and of course, it’s a real culinary delight. Whether you’re a restaurant, pub, café, canteen or catering company, one thing you’ll always need is high-quality products. Thanks to our amazing cleaning material supplier service, you can be sure you will always have them. The Total Serve Ltd team are experienced in all aspects of food wholesale but, our team has experience in many similar services including catering, food preparation and much more. Because of this, we know what cleaning and janitorial supplies the North West’s food outlets will need. How Can Our Cleaning Material Suppliers Service Can Help You! Our service includes all the essentials you could need to keep any food preparation space nice and clean. We also offer a range of more specialist products as well. Below is just some of the amazing materials we offer. 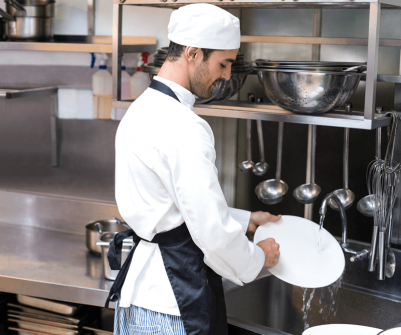 With our cleaning supplier service you’ll be able to ensure any environment, whether it’s a school canteen or a leading restaurant, is always left clean and tidy. Thanks to our experience and high standards, you can ensure any products you buy from us will always be of a high-quality. So, while you’re getting your food and drink supplies, don’t forget to stock up on your cleaning materials as well!